LawnEQ has one of the biggest selection of top-quality mowers available anywhere. Not only do we have the biggest selection of all the most popular brands, but we also have the best prices. So why go anywhere else? Whether you are looking for riding mower, powered walk-behind mowers, or everything in between, you need to make LawnEQ your number one choice for mowers and other landscaping equipment. 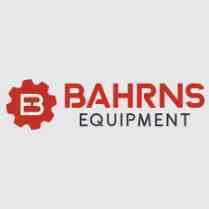 If you can't find what you're looking for, call us at 217-342-2909 or email us at lawneq@bahrns.com and let us help you find the mower parts you need.